I really enjoy this author’s books. The Sixes is actually my favorite of hers so far. I haven’t had the chance to read this one yet but I definitely want too! 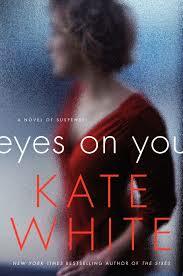 I like Kate White so I’m really looking forward to this one. I’ve read all of her BAiley Weggins series, you might like those.